Stainless steel appliances are everywhere these days. Unfortunately, so are our fingerprints! Here are five bright ideas for keeping the stainless steel in your home brilliant without using toxic chemicals. E-Cloth makes a microfiber cloth designed specifically for cleaning stainless steel. You can use it to clean with just a spritz of water and buff dry with a finished cloth. I have this, though truthfully I'm not sure I noticed a significant difference between using the specialized cloth and the general purpose e-cloths. Both seem to work fine. 5. Better Life's Einshine & what-EVER! Einshine is a completely natural ("GMO free, cruelty free, made in the USA, fragrance free, sulfate free and petroleum free.") stainless steel cleaner made by Better Life. I haven't tried Einshine, but if it's anything like the Better Life products I did try it's probably awesome! I still use their what-EVER! all-purpose cleaner to shine up my little toaster. What do you use to clean stainless steel? I use olive oil and water. Sometimes my cat "helps" clean the bottom. I find it works and provides stimulation for my fat cat! Enjoy Aromatherapy While You Vacuum! Save the Planet with Recycled Gold! #WIWW: Ain't No Party Like a PVD Apricot Party! 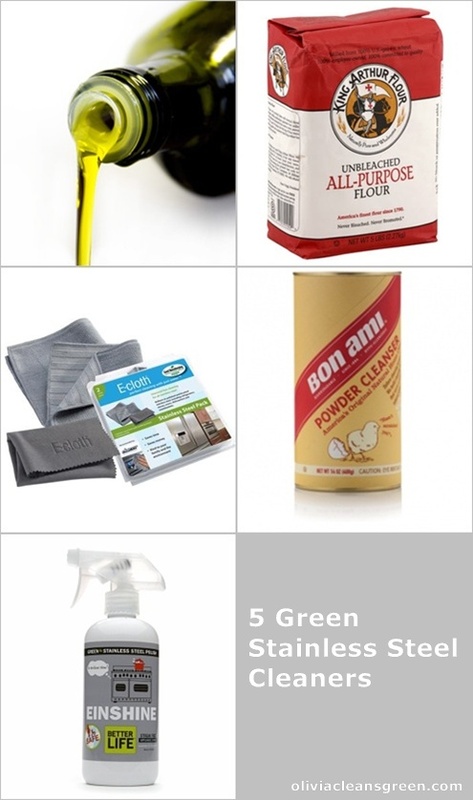 The Simplest & Best Green Glass Cleaner Ever! Interview & Giveaway: BHAVA Vegan, Organic Shoes! I Love My Granny Cart!